Located around 40 kilometres from Auckland, Bethells Beach is a coastal community with a stunning beach and surfing culture. The main beach is adored for its splendid sunsets and pulls tourist form near and far to spend a day here surfing, fishing, swimming, sun-bathing or simply having a hearty picnic. The small community has a history of over1000 years. Other highlights of the place includes the Giant Dune consisting of black sand. Do stop by at one of the nearby vineyards for a tasting session. Timings of individual attractions vary. 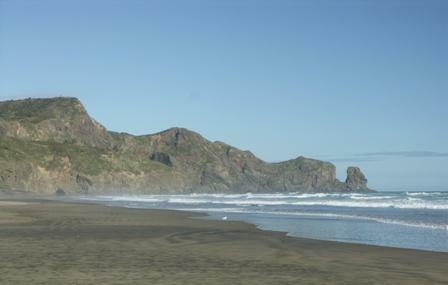 How popular is Bethells Beach? People normally also visit Takapuna Beach while planning their trip to Bethells Beach.